Scroll down to see the gallery. 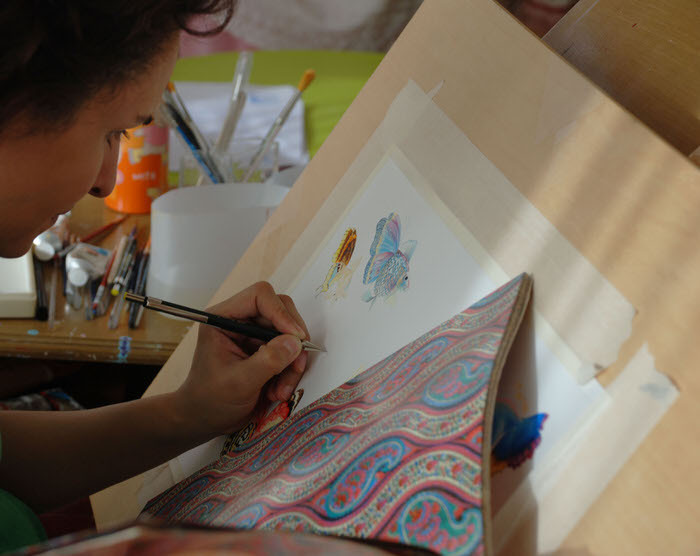 Halla Bint Khalid's body of work is comprised of visual narratives; in many ways, narratives that mirror her life. At times deeply personal, the visual accounts presented through her various collections also reflect the social realities of her native country, Saudi Arabia. These expressions subtly come forth, from the eyes of a socially privileged and educated woman - but a woman, nonetheless - as if they too are censored, amid a country shrouded in mystery, complexity, and contradictions. Halla started her career as a fine artist. Her shift into motherhood resulted in her becoming the children's author and illustrator she is today. She built her initial stories, through considerate observation and quiet introspection, even if her recent personal expression is far more vocal. In her early paintings, swathes of fabric bathed in warm light adorn the bodies of her sitters, whether male or female; still lifes consider her relationship to the culture around her; collages suggest a disconnect to her immediate environment and private recollections of the past. Each work, despite the purpose for which it was created, is executed with sensitivity and tenderness. What resulted in the early 80s, 90s and 2000s are works that present traditional subject matter, such as figural forms and " subjective reality," at a time when depicting such "life-like" images in Saudi was seen almost as blasphemy - certainly as taboo. What may first appear as mundane imagery of delicacy, femininity, softness and even religiosity, is much more rebellious when one places the creations amidst the socio-political zeitgeist of the Kingdom. Her pioneering work serves as a time capsule, providing a genuine glimpse into the past, which at their time of production were contemporary to the period. Interestingly, as timidity seems to linger as a quiet force in each series, there is an unearthing entity, which threatens to unveil. This is undoubtedly because Halla has, for the most part, lived in a society that as of yet does not allow one to flourish as a female artist. Born of this struggle, a new strength arises - persistent drive, through constant dedication, in advancing her paradigm and values through the sharing of her vision. 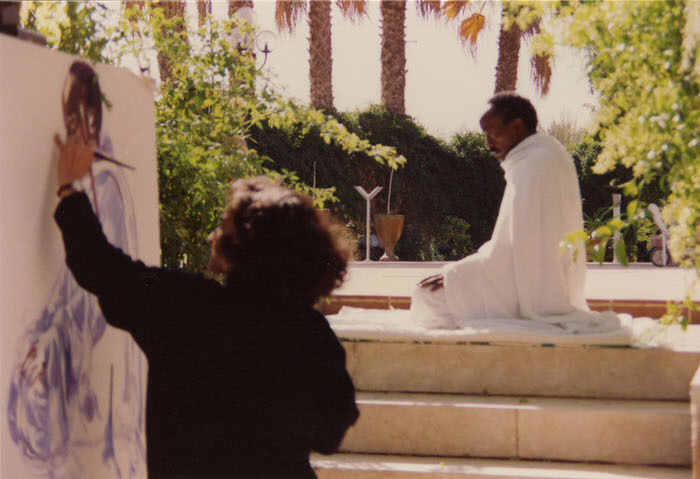 The Gulf seems to be progressing at an unparalleled speed, but it is thanks to people like Halla, working away in the shadows, demonstrating quiet courage in her persistence to explore and question, which has laid the foundations for the work that is being produced by other contemporary Saudi artists today.